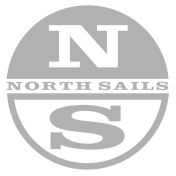 North Sails makes fast and versatile sails for the Lark class, manufactured using the most advanced technology and highest quality materials in the industry. Our experts are available to help you get the most out of your North Sails product offering sound advice, tuning information and expertise. The North Sails Lark AM-1 mainsail is built with a full radial construction which distributes the load through the sail much more efficiently, improving performance and longevity. New features such as internal batten pockets and new patching has reduced the overall weight and made the sail even smoother than ever! Manufactured out of North Sails exclusive Xi laminate.